Edited by: Günther Schlee, Karin Werner. With contributions by: Andreas Ackermann, Erhard Berner, Youssouf Diallo, Martine Guichard, Brigitte Holzer, Mary Catherine Kenney, Werner Link, Sigrid Nökel, Roman Poeschke, Günther Schlee, Karin Werner. The field of interest of the present volume lies in the processes of localization, ethnization and development of new religious forms that are subsumed under the term “globalization”. From different points of view the present contributions deal with forms and dynamics of a non-European or non-Western modern spirit. The socio-developmental and socio-anthropological contributions originated out of the context of the graduate lecture Markt, Staat und Ethnizität of developmental sociology, the main research field of the faculty of sociology at the University of Bielefeld. The lecture exists since 1991. 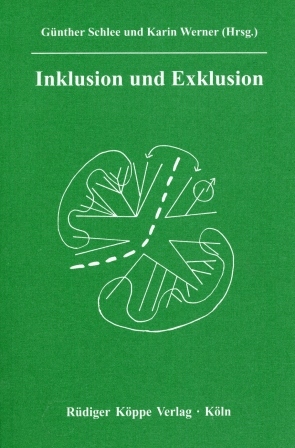 The studies carried out in different regions and continents are reduced to a common denominator by the programmatic subtitle of the first phase of the lecture Soziale und kulturelle Dimensionen von Grenzziehungen und Marktintegration that was finished in 1994.